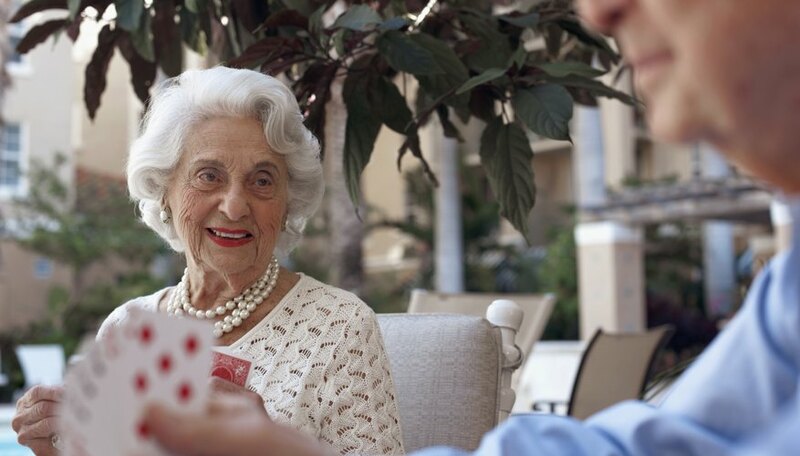 Much has been written about the potential of “brain games” to prevent or at least delay the onset of dementia. But what about games for people who already have memory loss? Games provide social and mental stimulation that contribute to well-being, so consider some card, picture, word and computer games that are fun, exercise the brain and may possibly slow cognitive impairment. It's difficult for the person with dementia to learn new games, so the best ones are familiar, associated with past success and have few steps. A simplified version of the card game “War” is easy because it has only two steps. Each player turns over one card and whoever has a card of greater value takes them; whoever ends up with the most cards wins. Picture cards may be removed if they're confusing. Some people may enjoy sorting cards according to suit (hearts, spades, clubs or diamonds) or color (black or red). Bingo is another game that taps into one’s long-term memory. Simplified boards with larger and less numbers to find can be bought or homemade. Seniors love to reminisce. Games that involve pictures of cars, clothing, movie stars or events from their youth bring back the pleasures of “the good old days.” Print out several pictures from the Internet and place them on the table so that each player can take a turn naming a picture for the other player to find. This is a great way to stimulate conversation about grandpa’s old Ford truck or mother’s Singer sewing machine. Print out two copies of each picture to create a memory game. This involves placing all the pictures face-up on the table. Each player takes a turn finding two matching pictures and then describing what they are. A simplified version of "Trivial Pursuit" can be played by giving the person information to name a common object--such as the round machine with numbers that tells you what time it is. Additional clues might include: It goes "tick-tock" and rhymes with dock. The beauty of word games is that they can be continuously adapted according to the person’s ability level and can be played anywhere, anytime. Computers can be very confusing to elderly people who didn’t grow up with them. However, some games--perhaps played with assistance--may help the person remain focused and process information. Possible games include clicking on falling objects before they reach the bottom of the screen, mazes controlled by the keyboard arrows or click-and-drag games to move objects around on the screen. If one has the patience to learn and play video games, this may provide an exciting, interactive alternative to watching television.